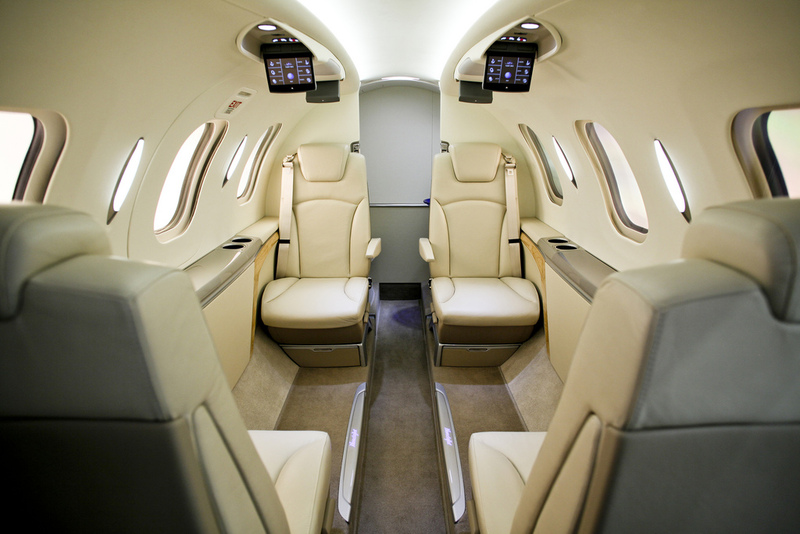 The HondaJet interior is a premium interior product in the light jet category. In fact the Honda HondaJet interior may become the best in class. The HondaJet interior of the Hondajet has a full lavatory (bathroom) with sink and is externally serviceable. The externally serviceable lavatory makes it easy to clean out the tank for ground support, a great plus for the HondaJet Interior. The interior will include drop down TVs and climate controls at the seat locations. The full details about the HondaJet interior have not been released by Honda yet. Once Honda releases more information on the interior Sun Airlines will update the information listed here. More information on the HondaJet Interior or Honda Jet Interior will be posted as more information on the HondaJet interior becomes available. Above HondaJet Interior Photo by Honda News on Flickr. Photo (Only) released under a Creative Commons License.